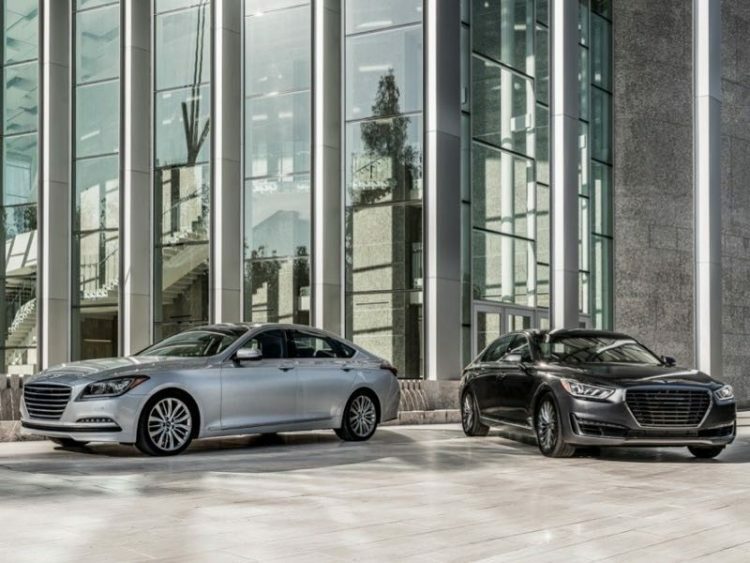 I would like to take this opportunity to introduce you to the Genesis G80 – the car formerly known as the Hyundai Genesis. 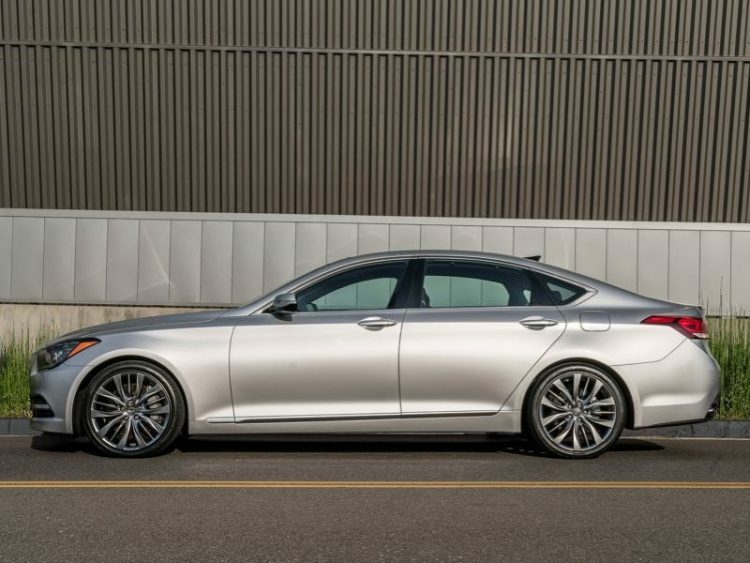 It is still built by Hyundai but with it comes the spinoff luxury division from the Korean automaker as this large midsize luxury sedan begins the new chapter in Hyundai history. The Genesis G80 is not necessarily new, pretty much just the nameplate and badging is. 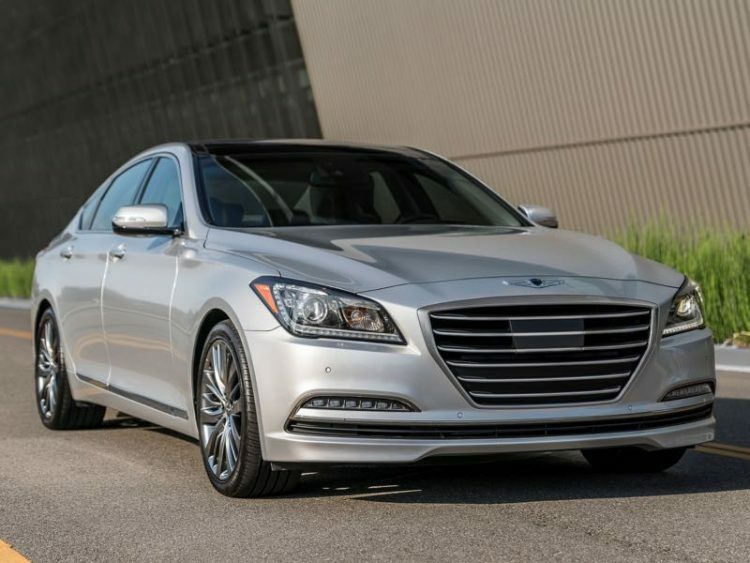 This vehicle is the second-generation Genesis model that Hyundai introduced in its 2015 lineup. 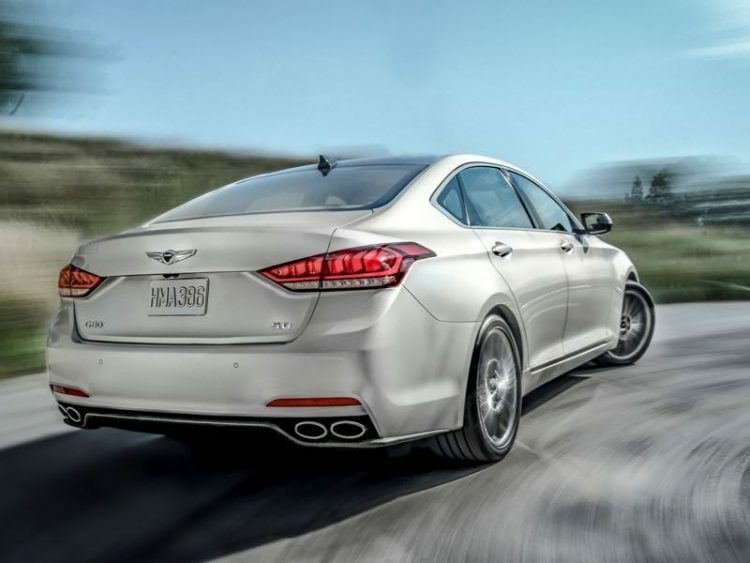 Genesis arrived in the U.S. about eight years ago and we liked what we found then – an upscale, slightly larger sedan with V-6 and V-8 offerings underneath the hood to keep Hyundai loyalists in the flock as they matured in life and lifestyle. The 2017 G80 reminded me quite a bit of the Buick LaCrosse we tested several months ago – a car we really enjoyed. The new G80 (and its distant relative Kia Cadenza) seem to emulate the premium GM brand while setting their sights on the European competition, most notably Mercedes-Benz E-Class and the 5-Series from the Bavarians. Hyundai – sorry, Genesis – does an admirable job of providing comfort, convenience, safety, technology, and an overall driving experience worthy of being cross-shopped with those vehicles and will most likely be a conquest model for shoppers suffering from sticker shock in the German showrooms. We recently spent a week behind the wheel of the G80 with a rear-wheel drive powered by the Lambda 3.8-liter V-6 engine. The Tau 5.0-liter V-8 is still available in RWD only models and the V-6 can be had in AWD or RWD running gear. The Lambda is rated to generate 311 hp and 293 lb. ft. of torque, providing a driving experience very similar to the big Buick. 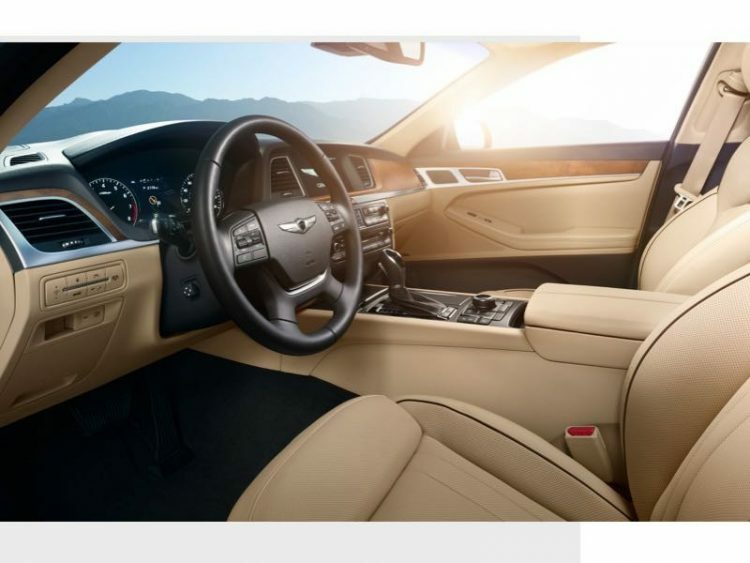 Genesis utilizes an eight-speed automatic gearbox across the board and it features Shiftronic manual shift capability with steering wheel paddle shifters. Genesis includes Intelligent Drive Mode where drivers can select from Eco, Normal, Sport, and Snow modes to better match their driving conditions or mood they are in at the time. G80 rides on stylish 18-inch alloy wheels with all season tires. While the G80 does offer a very comfortable ride, its chassis has been reinforced for rigidity to not only keep occupants isolated from harsh driving conditions but offers a solid platform for a more enjoyable driving experience. The vehicle handles wonderfully with no hiccups on straightaways or in turns. Acceleration is more than adequate and smooth across the powerband like a luxury sedan should be. The G80 is no super sport sedan and it reminds you of this if you attempt to push things too far. That said, buyers are not choosing this vehicle for its autocross capabilities. Exterior styling is sleek and modern with a somewhat familiar look in its competitive segment. Inside occupants will enjoy the comfortable offering of amenities as well as the sensible styling and layout. There is ample room for five adults and Genesis offers the latest in infotainment technologies. Our tester arrived with a couple of package upgrades with amenities that include leather seating with heated and ventilated front seats, power rear window shade, power tilt/slide panoramic sunroof, Lexicon premium audio system with 17-speaker 7.1 surround sound audio, 7-inch LCD driver information display, head’s up driving display, 9.2-inch color touchscreen infotainment monitor, power trunk lid, and quite a bit more. Genesis Connected Services is offered in all new Genesis vehicles and it serves to enhance convenience and security features of your car. GCS offers remote start with climate control, destination search, remote door lock/unlock, car finder, enhanced roadside assistance, and stolen vehicle recovery. These features are available via buttons on the rearview mirror and center stack, the web, or Genesis owners’ smartphone app. Safety technologies include vehicle stability management system, automatic emergency braking, blind spot detection with rear cross traffic alert, lane keep assist, lane departure warning, smart cruise control with stop/start, park assist, rearview camera, and driver alertness and focus safety systems – all standard. Pricing for the 2017 G80 begins at $41,400 with our loaded RWD 3.8 tester arriving with a final window sticker of $51,300. Fuel economy is rated at 18 mpg city and 28 mpg highway. AWD adds $2,500 to the price of a V-6 G80 and RWD models with the V-8 start at $54,550. The genesis of Genesis began about a decade ago and has now given birth to a luxury division bearing the name. Our first experience with the new Genesis was somewhat familiar one but we anxiously look forward to its future and judging by what we have seen and experience we won’t be seeing an exodus anytime soon.